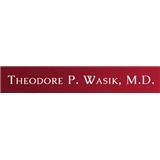 Theodore P. Wasik, M.D. (Cambridge) - Book Appointment Online! I am a psychiatrist with a practice in Cambridge, MA that serves patients in the Greater Boston area. My speciality is adult psychiatry (18 years old and older), and I see patients for both therapy and medication management. Please visit my website tpwasikmd.com for further information on my practice. As I am currently accepting new patients, please feel free to schedule an appointment through ZocDoc. If there is no availability on ZocDoc, please feel free to give me a call, as there may be openings that are not listed on the ZocDoc site.